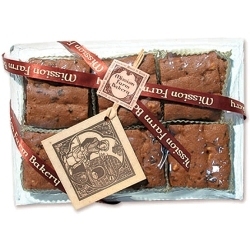 These soft, rich, square spice cakes are a New England tradition. Some say that they are named for the brown sackcloth worn by hermits. 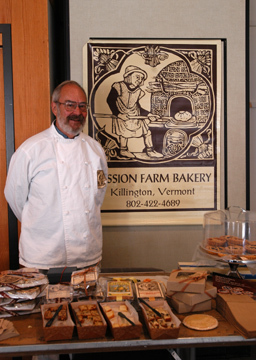 And who better to honor this tradition than Mission Farm's own resident baker and musician, Tim Owings? After all, he lives as a solitary in a log cabin in rural Vermont, where the retreat center is located. 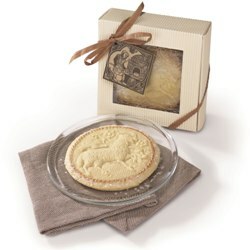 He chose ingredients and a recipe which are as good and simple as the name of the cookie implies. 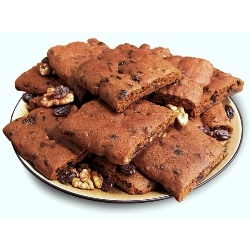 Molasses, raisins, currants, walnuts and a blend of spices which includes cloves, nutmeg and allspice give them an irresistible flavor. Each package is gift-wrapped and contains 12 "hermits." Ingredients: flour, butter, sugar, molasses, eggs, raisins, currants, walnuts, salt, baking powder, cinnamon, cloves, mace, nutmeg, allspice. Apr 4, 2019 | By Robert B. Delicious, well packaged with the best ingredients! Love them! Feb 16, 2019 | By BRUCE M.
very good quality and short delivery time! Always looking for something to send to a friend, and these cookies were a good choice. He loved them, which made me happy! This was a gift to my in-laws,who were both born and raised in New England.Both said these cookies were the "real deal" and were much enjoyed. Very like homemade, especially if you nuke them for a few seconds. Will definitely buy them again. My 91 year old uncle said he hadn't had hermits since his mother made them many years ago. He liked them very much. Will order again. Jan 7, 2017 | By Pat W.
My family look forward to receiving these bars for special occasions. 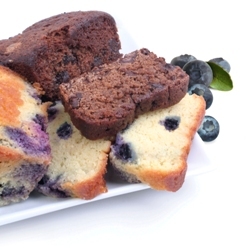 We love the taste and the freshness. The package is sent promptly every time. Unbelievable GOOD. you have won me over with your products. I ordered for my family for Christmas and reordered, because they loved it so much. Jan 5, 2017 | By susan c.
Aug 1, 2016 | By Linda B.
Yum! You can't get these anywhere here in the Southwest. The hermits were absolutely delicious. They are difficult to find here in the Southwest. I highly recommend them-yum!